I like surprises. Do you like surprises? Good. I have one for you. Be ready to have your mind space blown. We are gettin’ craaaaazy today. Adding veggies to brownies. Ya, you heard me. 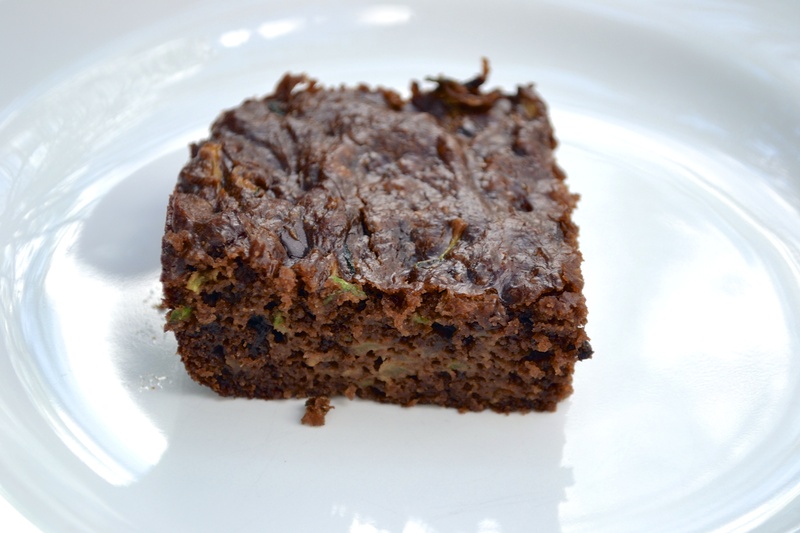 I know stuffing a brownie with healthy zucchini might not be your idea of a great surprise, but I promise this brownie won’t disappoint you. These are cakey-style brownies. So for you fudgey-style brownie lovers (like me) these are not those, buuuuut they are incredibly delicious. 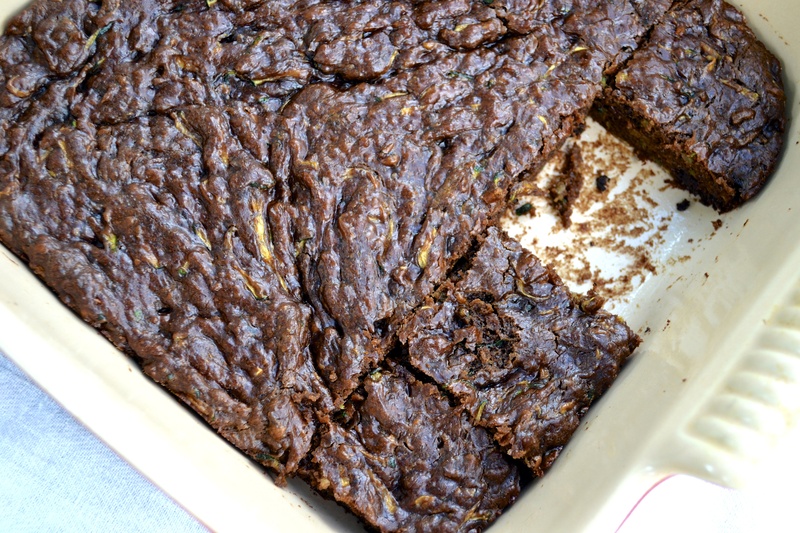 Plus, they are stuffed with wholesome nutritious zucchini, almond butter, maple syrup, and raw cacao powder! 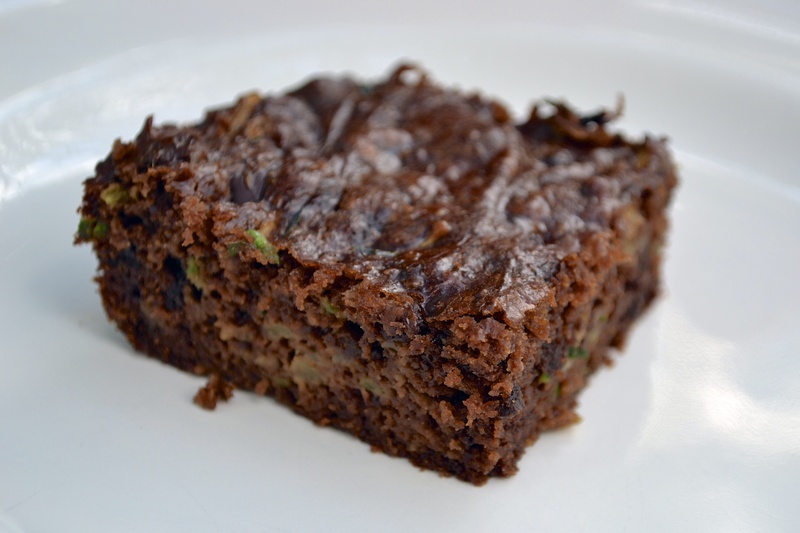 Ya, these are likely the healthiest brownies out there. 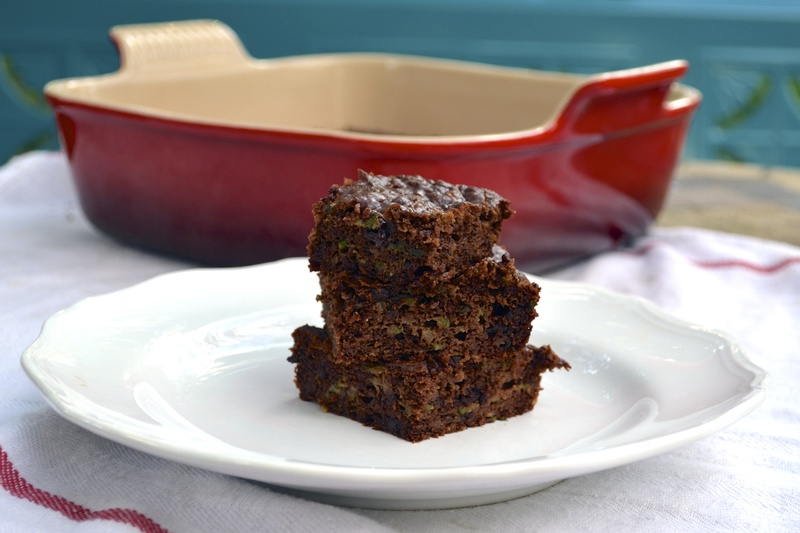 They are really close to zucchini bread but with a double chocolate edge that comes from the cacao powder and diced dark chocolate bites. Mmmmmm. Can I get an AMEN?!? If you don’t have almond butter, any nut butter would work. For the nonPaleo peeps and those not allergic to peanuts, these would be delish with peanut butter swapped in for the almond butter. But if your nut butter is not all natural (or has salt and added sweetener), be sure to eliminate the salt and reduce the sweetener in the below recipe to account for it. Don’t worry. I won’t tell anyone that you ate these for breakfast. Preheat oven to 350 F. Grease an 8 X 8 baking dish and set aside. Shred 1 to 2 zucchini with either a grater or a shredder attachment on a food processor. Set aside. In a medium bowl, combine almond butter, egg, maple syrup, and vanilla. Mix well. Stir in baking soda, salt, and cacao powder. After well mixed, stir in shredded zucchini and chopped dark chocolate. Pour into prepared 8X8 baking dish. Bake for 20 to 25 minutes in preheated 350 F oven. The brownies are done with the center is set. Remove from oven and allow to cool for 5 to 10 minutes. We tried these tonight & they were great!! It’s hard to believe that there is zucchini in them. The whole family loved them (and I think they will make a wonderful breakfast tomorrow a.m. as well!) Mine needed extra bake time and still were not fully set. I did substitute my egg for a combination of flax seed & water. I will try with the egg next time. A great way to use our zucchini and have a delicious snack all at the same time. Thanks so much for sharing! Awesome! I’m so glad your whole family loved them. They freeze well too. I’m glad to know that the “flax egg” worked well too. These turned out great, just like the picture, although I had to bake them for about 30 minutes. I followed the recipe, using maple syrup. They were good out of the oven, but even better after they set a little while. Thanks! Hubby loved them too! I bet the maple syrup was great in these. I haven’t tried other sweeteners but you could likely use coconut palm sugar as a substitute.